In one of the most moving stories of Christian literature, Augustine describes himself as sitting in turmoil, knowing that his current way of life had become untenable and was making him ill, because he could find no resting place for his heart and mind. As he sat sobbing in the garden, he heard the voice of children, as though playing a game in another part of the garden. The children's voices were crying, "Pick up and read it, pick up and read it." Looking around Augustine saw an open copy of scripture and he picked it up and read St Paul's Letter to the Romans offering a freedom from conflicting desires, through encounter with the living God. It is not only Augustine who encountered the merciful humility of God. But only God could penetrate Augustine's armor. 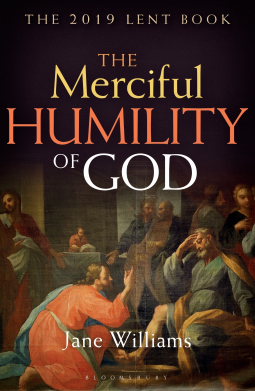 As we follow this book through Lent and through the Biblical narrative, what begins to emerge is that God's merciful humility is the source of life.